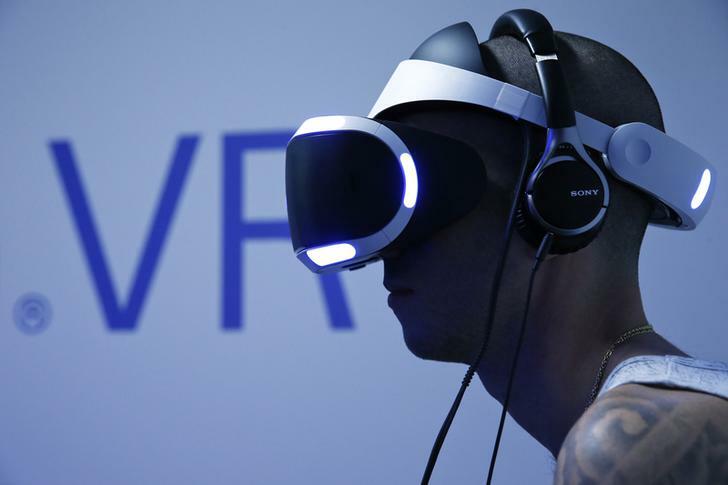 Virtual reality will spring to life in 2016. Newly launched headsets from Facebook, HTC, Sony and others will help turn the immersive artificial environments of VR into what could soon become a $10-billion-a-year commercial reality. For decades the dream of VR has remained unfulfilled. Nintendo’s 1995 “Virtual Boy” console, for example, was an infamous flop, complete with red-and-black wireframe graphics. Later equipment often made users nauseated, as eyes and body received conflicting information. But advances in processing power now make for far smoother, more compelling experiences in VR and augmented reality, its less intense cousin. Tech giants and venture capitalists reckon the duo may become the next big computing platform after mobile. Investors have poured some $4 billion into AR and VR firms since 2010, PitchBook says. This should start bearing fruit in the first half of 2016, as HTC’s Vive, Facebook’s Oculus Rift, and Sony’s PS VR headsets go on sale. Samsung’s low-end Gear VR is already out, while Microsoft is working on the HoloLens visor. Developers like Japan’s Bandai Namco, Capcom and Square Enix are preparing games in genres from horror to romance. As usual, early adopters will be gamers and gadget enthusiasts. Wider adoption will require vaulting a couple of hurdles: that no one looks good wearing a clunky VR headset poses a marketing challenge; and the hardware needs apps with broader appeal. But that should come. There are many potential uses: students could attend distant lectures; fans could sit front row at sold-out concerts; architects could walk the halls of unbuilt buildings; and so on. The initial financial impact will be modest but this could ramp up quickly. Nomura analysts estimate sales of home-based VR kits will be sub-$2 billion in 2016, largely in hardware. By 2020 that could be $10.4 billion, with 45 percent in software. Major beneficiaries will include programming houses and hardware specialists like Nvidia, the graphics chipmaker. Among the bigger players, success in VR would be a big boost for HTC, whose handset business is ailing, and help cement Sony’s dominance in console gaming. It would also vindicate Facebook boss Mark Zuckerberg’s bold, $2 billion bet on Oculus. The tech industry could be about to change reality again.